The last of my open stash of 2012 Rolando’s Own in a smooth straight early ‘60s Lane era “William Conrad” Charatan Executive Extra Large stretch apple with diagonal channel cuts on the lower right and left of the bowl along with a black vulcanite double comfort stem. 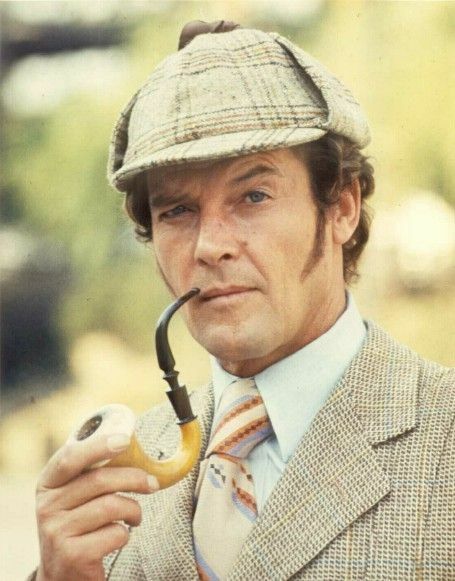 Gonna have to figure out what blend to smoke in this pipe next. Now smoking Paul Olsen Dark Flake MOB in a smooth medium bend straight grain 2001 Karl Erik Ekstravagant brandy with a leaf engraved silver band and a black acrylic stem. A cup of Maxwell House, neat, is my drink. Now smoking GLP Jack Knife RR in a smooth medium bend post-WW2 Pre-Republic Peterson Shamrock Killarney 9BC with a sterling silver band and a black vulcanite stem. A can of the almost illegally delicious Hansen's Mandarin Lime soda made with pure cane sugar is my drink. Watch City Slices in a 1979 straight smooth Dr. Grabow Grand Duke 45 pot with a black stem. A couple minutes or so away from smoking Jim’s A Blend in a three quarter bend smooth 1985 Dunhill Chestnut 5202 with a cumberland stem. Aged Stony in the '12 Tinsky Xmas Dark Blast which is dedicated to this blend. Now smoking Cope’s Escudo in a slight bend rusticated 1979 Savinelli Estella 310 poker with a brown pearl acrylic stem. Ice water and bergs is my drink. A rather dreary, rainy day; Hyde Park in an MM Country Gentleman this afternoon; Black Irish Twist in an MM Legend this evening. 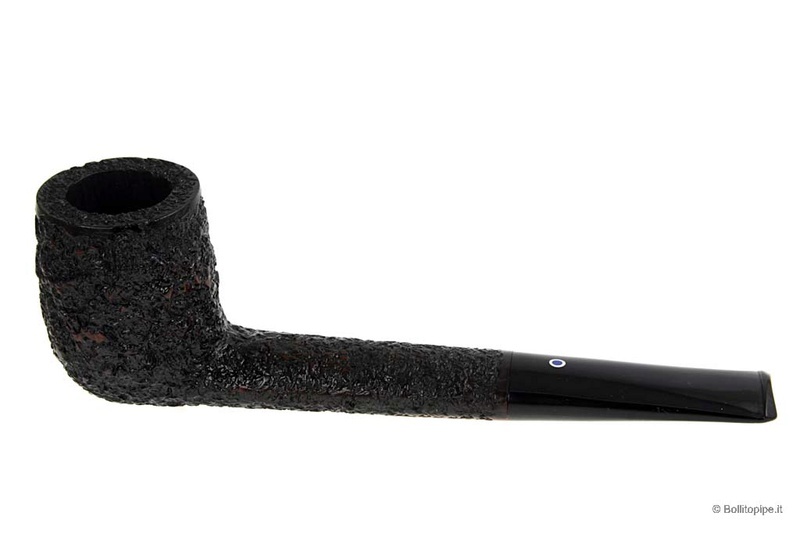 Old Companion in a smooth 1998 Parker 489 three quarter bend Billiard and a black vulcanite stem. Part way through this bowl of D&R William’s Delight in a 1979 no name French briar smooth full bend egg with a black vulcanite stem. Hello from Greece, the sun is present here in Athens with 26°C. J.M Boswell No Bite Delite - Stanwell Brass Band [modified to look like a Gilt Edged, new mouthpiece added]. Almost finished smoking Stokkebye Highland Whiskey in a 2013 slight bend grain etched briar John Barrett Volcano with a walnut shank and a black plastic stem. Awake longer than I expected to be this morning. Almost half way through this bowl of Edward G. Robinson's Pipe Blend in a 1982 black sandblasted paneled slight bend Savinelli flat bottom sitter with a black vulcanite stem. A cup of Maxwell House, neat, is my drink. Now smoking Watch City Old Dominion in a smooth straight early ‘60s Lane era “William Conrad” Charatan Executive Extra Large stretch apple with diagonal channel cuts on the lower right and left of the bowl along with a black vulcanite double comfort stem. A bottle of 7-Up is my drink. Watching Gunsmoke. 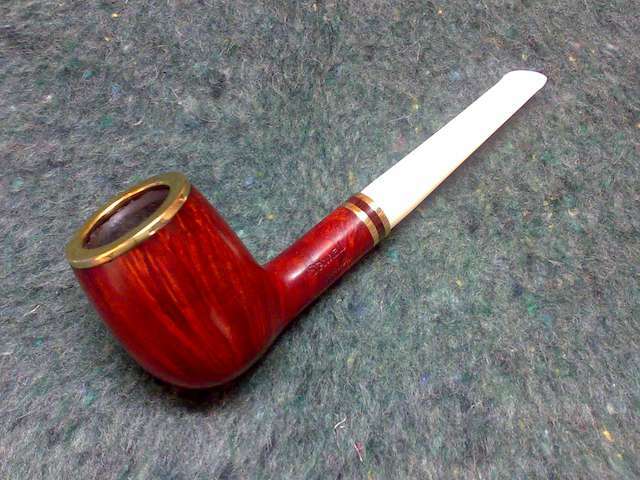 McClelland Christmas Cheer 1995 in a 1970s smooth GBD 9665 slight bend with a rough top flat bottom sitter with a black vulcanite stem.